Most plyometric training focuses on bilateral, vertical exercises (nothing necessarily wrong with that). We hop and jump with two feet, in a mostly vertical plane (straight up). Adding unilateral, horizontal, and lateral plyometric exercises is a great way to accelerate the development of explosive power, balance, and muscular endurance, according to multiple studies in the Journal of Strength and Conditioning Research. It’s pretty simple to incorporate unilateral (single-leg), horizontal (forward), and lateral (side-to-side) plyometric exercises into your training, once you’ve become comfortable and proficient with more traditional plyometric exercises. When performing unilateral plyometric exercises, it’s important to start with a low intensity level and degree of difficulty. If you’re already doing bilateral, vertical hops and jumps as part of your training, try adding single-leg vertical, lateral, and forward hops and jumps to your routine, on flat ground. As your strength and balance improves, add low hurdles and plyo boxes to the mix. It’s New Year’s resolution time and, for some of us, that means a major overhaul of our diet and exercise plans in 2015. For others, a few modifications to our current regimen is all we’ll need. Regardless of your plan, don’t just get (or stay) fit in 2015… get functionally fit. Functional training means challenging yourself with exercises that not only build strength, but also require balance and stability. Avoid or minimize stationary, machine-based exercises that “lock” you into single-joint and/or isolated muscle group movements. Free weights generally require more balance, stability, and core activation than machines and can also provide for a greater range-of-motion. And don’t limit yourself to pushing and pulling exercises. You can use kettlebells and medicine balls to bend, twist, turn, carry, swing, toss, and throw. Perform more unilateral exercises — those that work one arm, one leg, or one side of the body — as an alternative to traditional bilateral exercises. 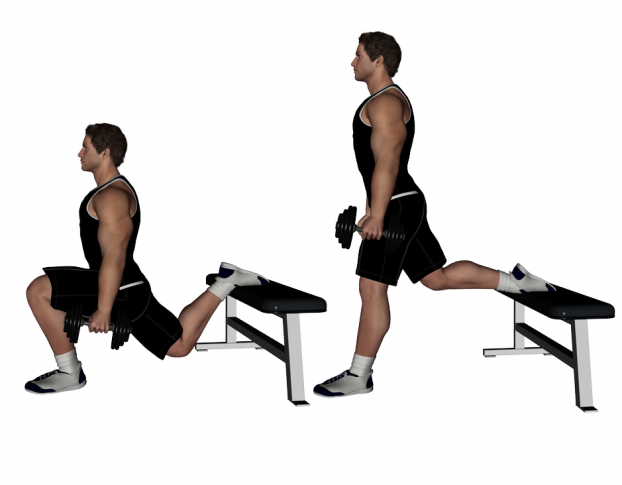 Single-leg exercise versions of the squat, Romanian deadlift, and Bulgarian split squat work the entire lower body and prevent the stronger limb from compensating for the weaker one. The same principle applies to upper-body exercises like single-arm presses and rows. Perform more exercises on your feet, as opposed to sitting or lying down. Try using a suspension trainer, like the TRX, and you’ll activate your core with every exercise you do. If you’re going to do cardio, get away from the traditional slow, steady paced jog. Incorporate high-intensity interval training into your routine. Add exercises and drills that require backpedaling, lateral shuffling, hopping, skipping, and lunging. Do more movement-based training, and less muscle-based training, and you’ll look, feel, function, and perform better than ever. Looking for some help, guidance and/or direction to get started? Contact us today via our website.